Wow, what an exhilarating weekend for the Winter Olympics. Lizzy Yarnold created history by becoming the first Briton to successfully defend a Winter Olympics title. 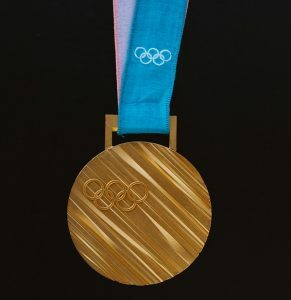 Prior to the event, Lizzy Yarnold revealed that she had actually considered quitting due to feeling unwell; however after overcoming her illness she went on to win. Perfecting a skill such as Lizzy’s Yarnold’s, and any skill for that matter, takes dedication and hard work. It certainly goes without saying that practice makes perfect, to become an Olympian it takes years of commitment to your field, to truly be the best that you can be. Here at CBC, we think of furniture making as a hard earned skill, one that takes years of dedication, perseverance and practice. All of our furniture is made to order, at our onsite manufacturing facility in the North West of England. Every order is carefully crafted by our experienced craftsmen and women. Many of our staff have been here working with us for over 30 years, each of them perfecting their skills over the years to the quality that you see in our beds today. As with Olympians It really does take perseverance to truly take your skills to the next level, and be at the best of your ability. We believe the craftsmanship in our furniture is second to none, and that is thanks to the hard work and dedication given by our team over the years. A huge congratulations to Lizzy Yarnold and her team for the fantastic win and of course for making history. The Olympian work ethic, is certainly one to follow.